Carrot Cake Steel Cut Oatmeal is the perfect hearty breakfast for spring. Made with chewy steel cut oats, tender shredded carrots, sweet raisins, warm spices, and crunchy pecans. Carrot cake for breakfast? 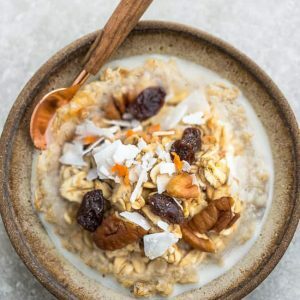 This recipe for Carrot Cake Steel Cut Oats Oatmeal is rich, creamy and the perfect healthy breakfast treat. It’s quick and easy to make and hearty enough to keep you full until lunch. 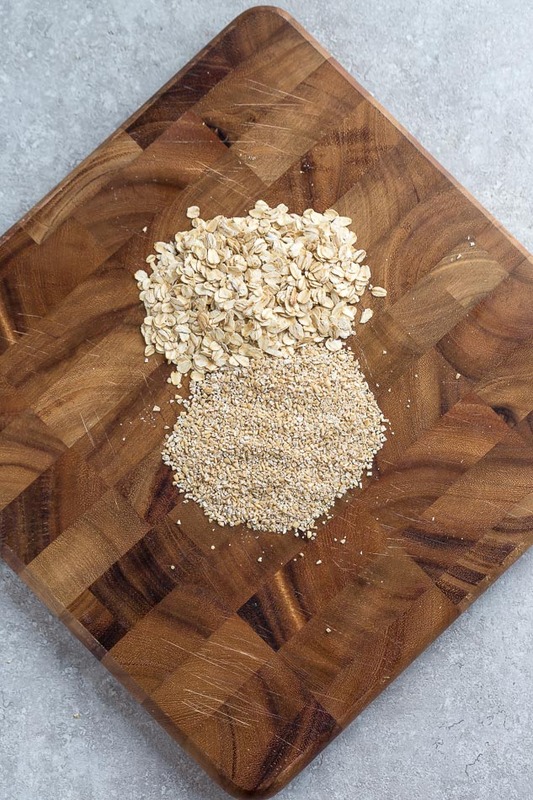 Another delicious reason to make steel cut oats is that it’s perfect for meal prep. My kids are big oatmeal fans and we love making a big batch of oatmeal to get us through the week. So how do you make carrot cake steel cut oats? 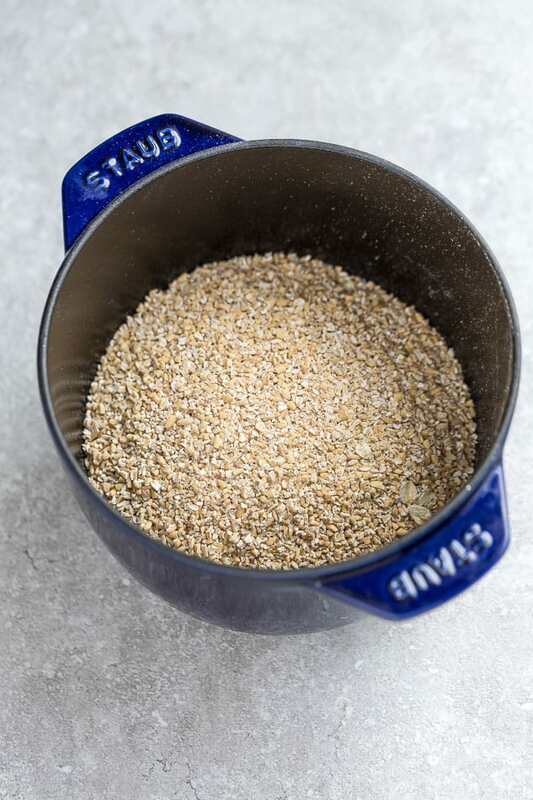 Before we begin, let’s take a look at what are steel cut oats. So are steel cut oats healthier than rolled oats? 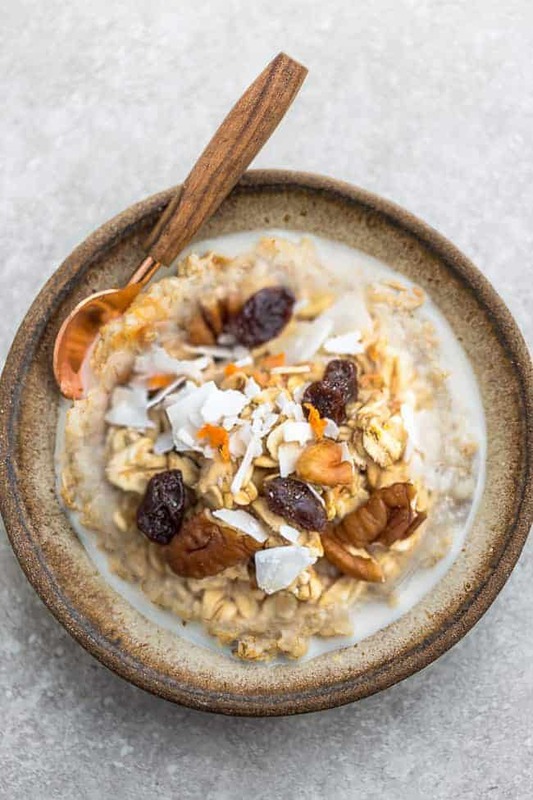 Since steel cut oats are process differently, most people have mentioned that they keep you fuller longer until lunch time. 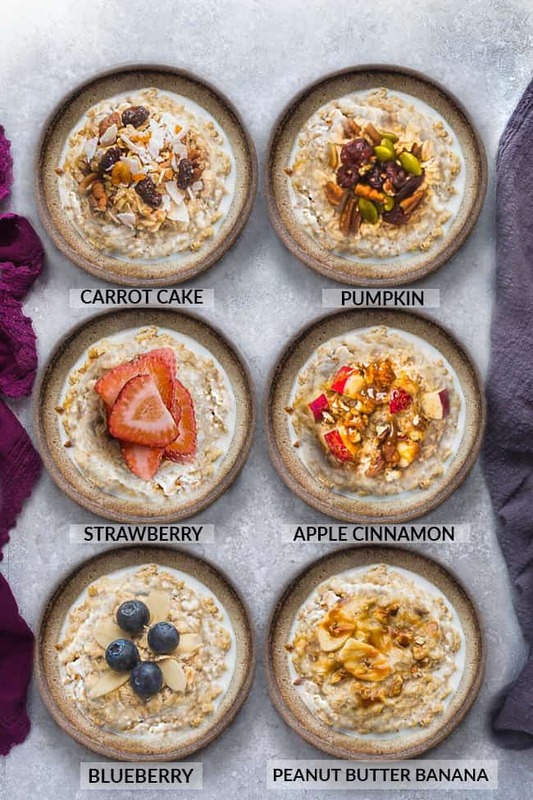 To make carrot cake steel cut oatmeal in the Instant Pot, you’re going to start off with 1 cup of steel cut oats and 3 cups of liquid. LIGHTLY GREASE THE INSTANT POT: Next, you’re going to lightly coat the inner pot of your Instant Pot with coconut oil or cooking spray to avoid sticking. ADD THE INGREDIENTS: Add the oats, liquid, cinnamon, ginger, nutmeg, cloves and carrots into the Instant Pot. Secure the lid and close the vent. PRESSURE COOK THE OATMEAL: Press the MANUAL (or PRESSURE COOKER for newer Instant Pot models) button and set to 4 minutes. 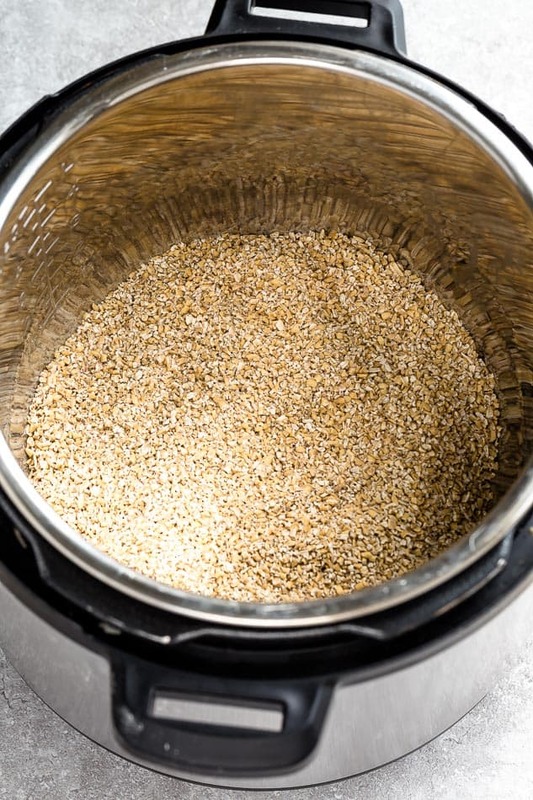 NATURAL RELEASE: After the oats finish cooking, allow the pressure to release naturally (about 10-15 minutes). After the pressure releases, open the lid and give the oatmeal a good stir. Any extra liquid will absorb as it cools. Stir in the maple syrup, coconut and chopped nuts. Divide into bowls and top each with more coconuts, nuts and milk, if desired. for the best bowl of creamy carrot cake steel cut oats, I like to start off with 1 cup of steel cut oats and 3 cups of liquid. Combine oats, liquid and grated carrots in a medium pot over medium high heat. Bring to a boil, then reduce heat to low and a gentle simmer. Do not leave unattended. Continue simmering until thickened and desired creaminess, about 15 to 20 minutes, stirring occasionally and scraping the bottom of the pan to. Remove from heat. Add cinnamon, ginger, nutmeg, cloves and sweetener if desired. Divide into bowls and add desired toppings. Stir in cinnamon, ginger, cloves, maple syrup, vanilla, nuts and coconut. Divide into bowls and top each with more coconut, nuts and milk, if desired. Add oats into the Instant Pot followed by liquid. Stir in the cinnamon, ginger, nutmeg, cloves and carrots into the Instant Pot along with the oats and liquid. Secure the lid and close the vent.